NCA’s decision against allowing pill testing is naive and bitterly disappointing says, Shane Rattenbury. Proponents of pill testing will press ahead with alternatives such as off-site facilities for the upcoming Split Milk festival after the National Capital Authority put paid to any idea of a similar operation to that conducted at Groovin’ the Moo being allowed on Commonwealth land. The NCA, which scuttled plans for a trial at last year’s Split Milk, says there is no legal framework for a pill testing operation and that the Commonwealth did not condone the taking of illicit drugs. But pill testing advocates say the tragic events at the Defqon.1 music festival in western Sydney on the weekend where two people died with three more critically ill underlined the need for a pill testing regime at events where drugs will be taken. ACT emergency doctor David Caldicott, who was involved in what is considered the successful pill testing trial at Groovin the Moo music festival at the University of Canberra earlier in the year, told The RiotACT it was obviously ideal to be on-site but the concept of ‘static testing’, providing a venue to which people can bring their substances to be tested, was actually quite old. “It’s the model they use in the Netherlands, and pop-up static testing has been used all around Europe so that is obviously an alternative option and one of many that we will be discussing with our counterparts in the ACT Government in weeks to come,” he said. ACT Government Minister Shane Rattenbury said the Government could consider allowing pill testing outside Commonwealth Park, the Spilt Milk site, but it was a question of effectiveness. He told the ABC that pill testing could be allowed on ACT land, for example, at the bus interchange. “A lot of land around it is Commonwealth land. It’d be a lines-on-the-map discussion but legally we could do it in the ACT,” he said. It was considered much more effective doing the testing on-site. Dr Caldicott agreed but said it was less effective to have nothing at all. “If you could find somewhere that was quite close to the site then you could certainly provide a service. The other thing is whether there are pass-outs from the venue,” he said. Dr Caldicott said there was still plenty of time to come up with alternative arrangements. “Remember we were given the go-ahead for Groovin’ the Moo three days before the event. Eight weeks is an eternity,” he said. An exasperated Mr Rattenbury told the ABC the NCA’s decision was ”naïve, bitterly disappointing and quaint”, while Dr Caldicott said it was a ”cross between dereliction of duty to the community it supposedly serves and an inability to follow the signs”. Mr Rattenbury blamed the decision on unknown figures in the Federal Parliament, but last year the Canberra Liberals wrote to Ministers requesting they intervene and stop the proposed pill testing trial at Spilt Milk. Mr Rattenbury said the Government would continue to make the case with the NCA, saying the legal issues could be resolved but he did not hold out much hope of it reversing its decision. 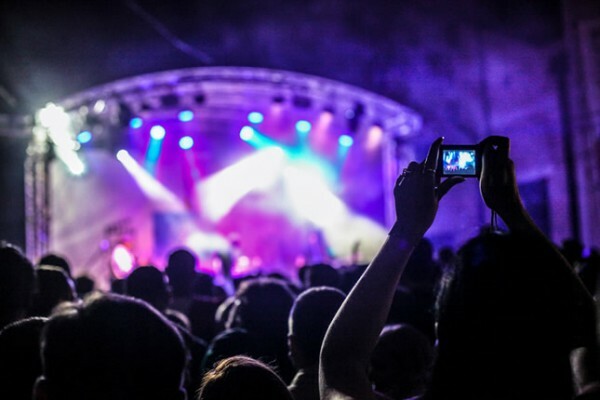 The pill testing trial at Groovin’ the Moo was considered a success and Mr Rattenbury says the evidence is overwhelming that pill testing contributes to keeping festival goers safe while not condoning drug taking. Spilt Milk will take place in Commonwealth Park on 17 November, 2018. Sat 6/10/18, 12:00, Garema Place, ACT. The NCA chooses to let kids die. Is the western side of Commonwealth Ave outside of NCA control? If so put pill testing there. "But pill testing advocates say the tragic events at the Defqon.1 music festival in western Sydney on the weekend where two people died with three more critically ill underlined the need for a pill testing regime at events where drugs will be taken." Wouldn't have helped since they were actually smuggled in past security. And no one's going to willingly offer up what they've bought to test and find out they wasted their money. The evidence from pill testing tents at festivals all over the world says otherwise, Iaian. The majority of people who test their pills and have a result they weren't expecting, (such as dodgy research chems or unknown adulterants) will bin them. Better to find out beforehand that they "wasted their money" than find out after it's too late that they have ingested something potentially lethal. I'm genuinely impressed an organisation has taken it upon themselves to respond publicly and personally to my own personal opinion of the matter to promote their interests. I respect that. Though I personally think tests to screen out dangerous and/or lethal substances in coordination with security at the gates to the venue, thereby preventing their circulation in the first place, is a better strategy to take. It would in theory protect people's health and their wallets. My own view is that I'm not sure how the current in-venue strategy used would be as, or more, effective. Benkin Manfish if only it were only a problem for those who engage in it. Here's a thought - would having pill testing encourage drug use? I can guarantee there would some that would like to try it, but don't because of the horror stories. Limit their chances of becoming one, and more will try it. Nathan Cooper So you would kill kids going out to a music festival to possibly stop more taking drugs? Bcause take it from someone who has to deal with this stuff most weekends that's what draconian enforcement and lack of knowledge does. By that stage the person would more likely then not have taken the thing anyway. Perhaps you could ask your dealer to take one of the pills they intend to sell you first? You can, but that wouldn't prove much if they have any kind of tolerance, which most dealers likely would. Overdosing isn't the same for everyone; what kills one person may be a solid buzz for another. Tom Bell Ah, thanks for the insight Tom. In most other places in Australia the good people only have to deal with elected officials, oh sure there's local, state and federal that they have to contend with but they're elected dam it, the people get to have their say. But nah not in the act, we've got that wonderful unelected troll under the bridge called the nc friggin a. The NCA hasn't done anything meaningful or beneficial maybe ever so this isn't a surprise. I would whoever like to know if ACT policing will be anywhere near an off site pill testing service looking for sneaky arrests.